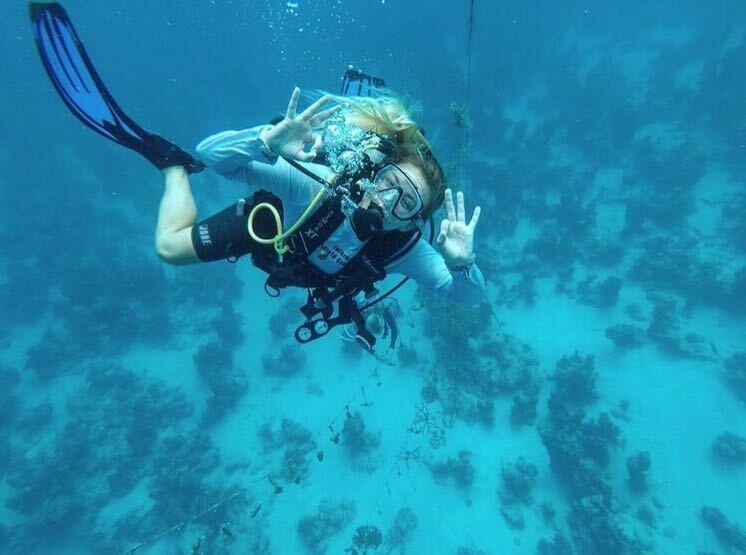 Forfar Marine Science Program — International Field Studies, Inc.
Live on beachfront property, study on the crystal clear Caribbean waters, and earn your PADI Open and Advanced scuba certifications during our 6-week marine science program through International Field Studies. Forfar Field Station has been home to unique field study experiences for students since 1970 and we are thrilled to utilize the past 50 years of experience to support our very own program designed to give young adults a professional and academic experience of a lifetime. Students will partake in lecture based activities and land/sea excursions throughout the island as they explore the wonders of Andros. Students will earn internationally recognized certifications and a certificate of completion. Our 6-week program is offered in the spring and fall each year making it the perfect for those taking a Gap Year or semester off. The fall session can be perfect for recent college graduates looking to gain experience in their field or undergraduates who are taking a semester off. 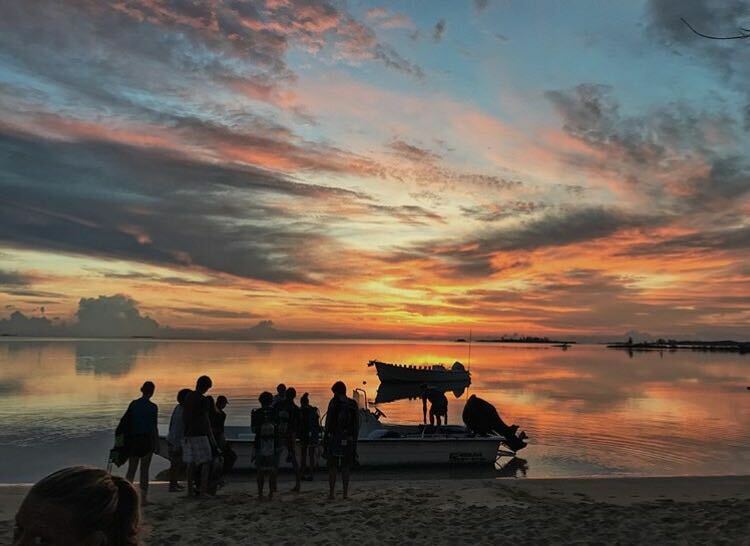 Located on Andros Island, with the highest concentration of blue holes in the world and bordering the 3rd largest fringing barrier reef, this unique opportunity is sure to provide students with the experience they need to achieve their career goals. Application: Applicants accepted on a rolling basis. Online application available below. No previous SCUBA experience necessary. Deadline: Applicants for our fall 2019 session should apply before August 1, 2019. 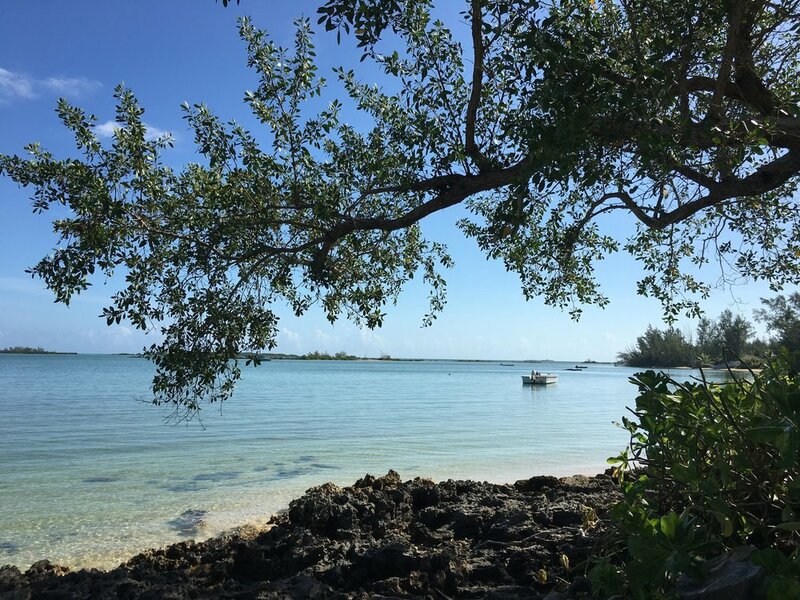 Our program has many different facets and will allow you to experience a true, immersive Marine-based field studies program with introduction to Ecotourism and the Bahamian Culture. 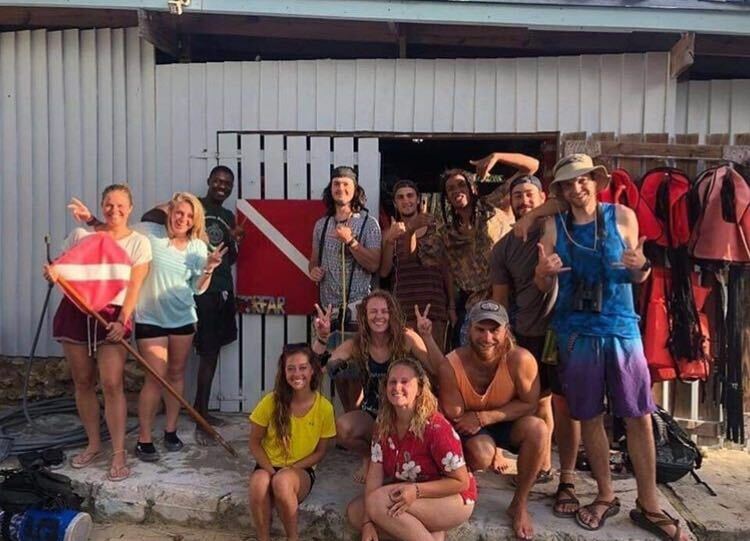 You’ll take classes from our qualified staff of Environmental Educators and Certified Instructors all while enjoying hands-on labs exploring the ocean, blue holes, and unique island ecology of Andros. As an undergrad or post-high school student taking a Gap Year, this experience is sure to help you stand out as you start your career path. See our Program Guide below for a more detailed sample itinerary. Living at Forfar Field Station: You will be staying in shared, rustic, cabin-style lodging along the beach. Cabins have 3-4 sets of bunk beds, electricity, fans, mosquito bug nets, and a private bathroom with shower. The Forfar Lodge houses our Dining Hall, Classroom, Research Lab, and open living area. The Dining Hall is where all the meals take place at Forfar. We will serve breakfast, lunch, and dinner daily. Most food allergies/dietary restrictions can be accommodated. You will have access to kayaks, windsurf boards, beach volleyball, basketball, and swimming and snorkeling from the beach. Living on Andros: Andros is the largest Bahamian Island but very sparsely populated and fairly undeveloped. Forfar Field Station is located in the middle of the island on the east coast and nearly 20 miles in either direction from the larger settlements on the island with a few establishments within walking distance. Read our blog post on Andros to learn more. We are looking for passionate, driven individuals eager for personal and professional growth. We are here to help you gain the skills necessary to be the best version of yourself in your future career. We will be accepting applicants on a rolling basis and encourage applicants to apply early (see application below). If you have any questions about the application process or about the program in general please don’t hesitate to reach out to Becky Schmitthenner, Program Coordinator, at office@intlfieldstudies.org. Read our blog post, 5 Reasons to Take a Forfar Gap Year, to learn more. What’s included: Lodging, 3 meals a day, round trip flight from Nassau to Andros, ground transportation, all field trips and excursions, Dive, Kayak, WFA, and LNT certifications and instruction, and trip facilitators/environmental educators. Diving gear available includes: BCD, regulator, weights and belt. What’s not included: Flight to Nassau, BS, health/travel/dive insurance, dive mask, snorkel, fins, and wet suit, and ACA membership fees.